Kullu Manali Tour Packages With Luxurious Hotels. 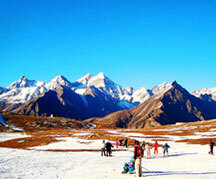 Kullu Manali Tour From Mumbai, Delhi, Ahmedabad, Bangalore, Kolkata, Hyderabad and Chennai. All inclusive packages with no hidden costs, including transport, Indian meals, hotel accommodation and all major sightseeings. Home to snow-capped mountains, gurgling rivers, magnificent hill stations, ancient temples, gorgeous valleys, passes, Kullu-Manali is the famous tourist destination of Himachal Pradesh. Manali is formed by the belt of Beas River Valley, strategically resting between the whopping, white glistening peaks of Pir Panjal and Dhauladhar ranges. Travelers, who have special liking to get doused in spell-bound getaway, then Manali just happens to be it. The awesome views of orchards, verdant green environment, brings forward a wonderful visual delight amalgamated in muse. Manali Volvo Packages give you the advantage to explore the breathtaking spots and feel the pristine beauty of this resort town. With Manali Volvo Package tours, adventure travelers, solo travelers, honeymooners and family vacationers enjoy the best of their lifetimes. manalivolvopackages.org is an online travel portal, running under the aegis ARV Holidays. 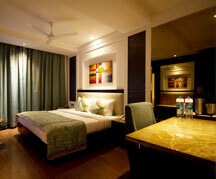 The travel portal specializes in Manali Holiday Packages, Manali Group Tours and Manali Honeymoon Packages. 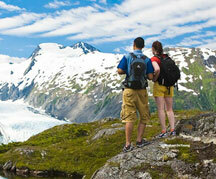 These tour packages are served along with sightseeing tours and finest accommodation. With manalivolvopackages.org, you are where you intend to go. Book your Manali Volvo Package within your budget.